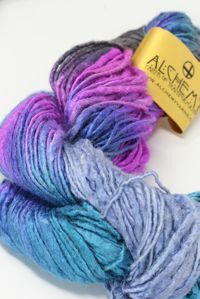 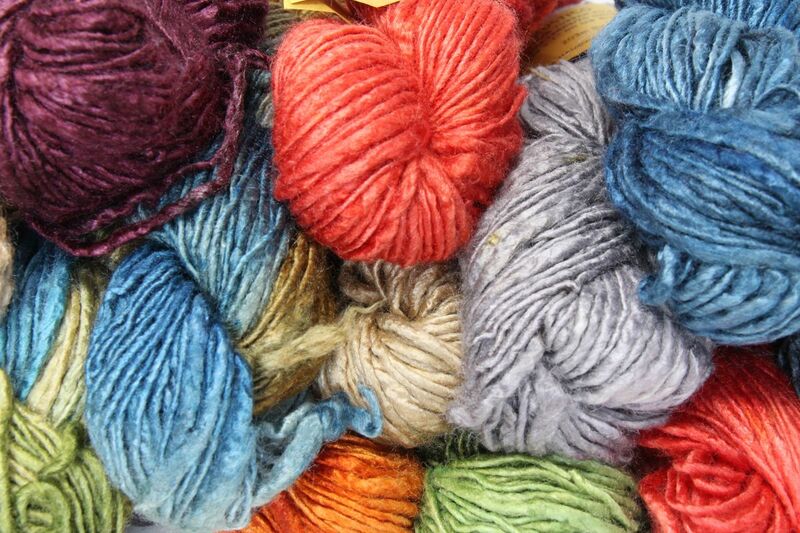 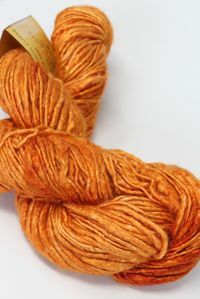 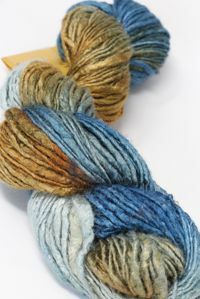 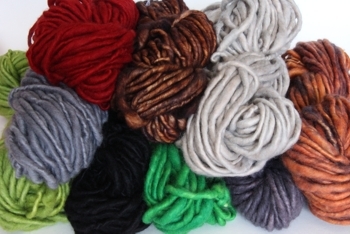 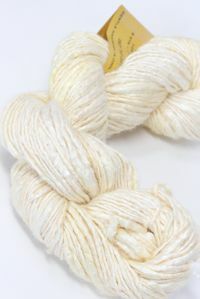 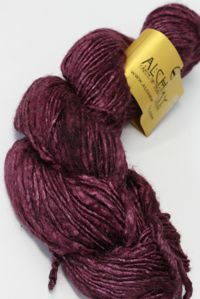 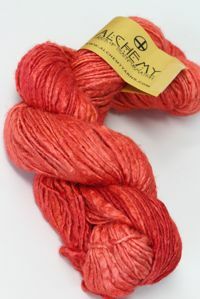 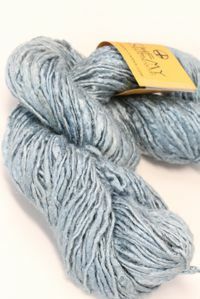 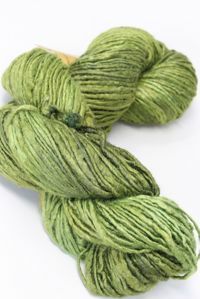 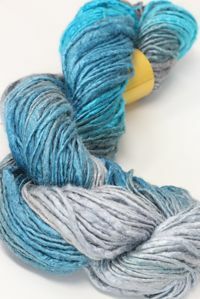 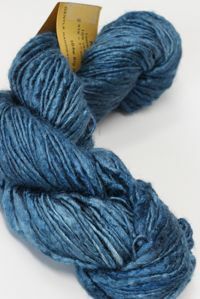 We absolutely adore Alchemy's handpainted tussah silk yarn . 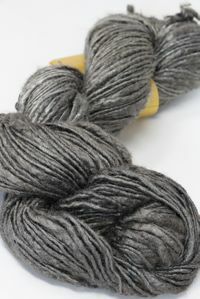 Tussah is amazing, scrunchy, silky, uneven, textural. 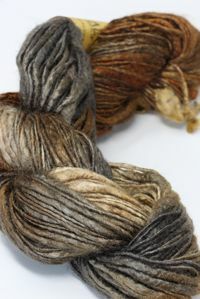 Combine it with their very funky Rustico to create magic scarves, shawls and wraps that will make you gasp with their beauty. 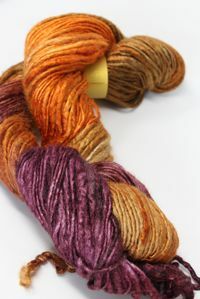 Amazing tones and lightplay on these lovely color - we don't know how they do it, but we're glad they do! 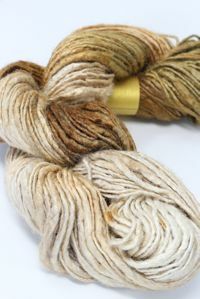 Beautiful, rustic raw TUSSAH silk, hand dyed in luxurious, intense solids. 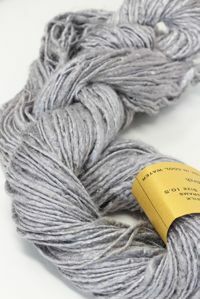 CARE: Gentle Handwash in csool water. 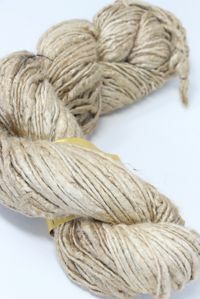 Lay flat to dry.